Socrates in the Botanic Gardens. | Come Here To Me! « One week until the final Richter Collective show. Socrates in the Botanic Gardens. 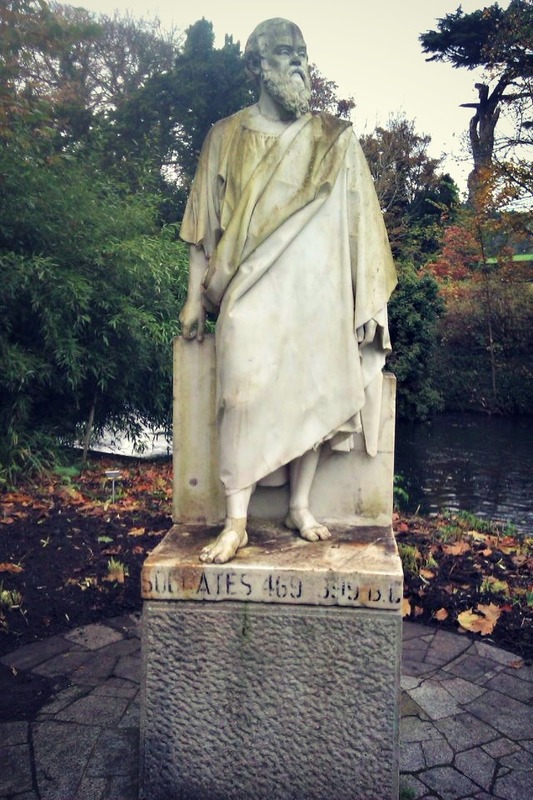 Over the years we’ve looked at many of Dublin’s brilliant and controversial statues, but one which I’d not stumbled across was the statue to the great Socrates in the Botanic Gardens. My brother was strolling through the grounds and took a photograph, and I wonder how many others are unaware of its presence in Dublin. Not quite a signatory of the 1916 Proclamation or anything else you might expect of a man immortalised in this form in Dublin, Socrates (c. 469 BC – 399 BC) is one of the founders of Western philosophy, celebrated for his contributions in the field of ethics in particular. Does anyone have any information on the origins of this brilliant statue, and how it came to be placed in Dublin? A friend joked it must be in honour of his time spent playing the beautiful game with UCD AFC. A brilliant joke, but that was another Socrates, and he never kicked a ball apparently. There is a man called Dr Matthew Jebb in charge up there I am sure he would know I met him once & he seemed to know & love the place passionately ! any chance of a post on fr. pat noise or the tomb of the unknown gurrier? Ludwig Wittgenstein liked to sit here in the greenhouse on the steps..I wonder what he contemplated? on May 22, 2013 at 1:26 pm | Reply Ludwig Wittgenstein’s Dublin memorials. | Come here to me! 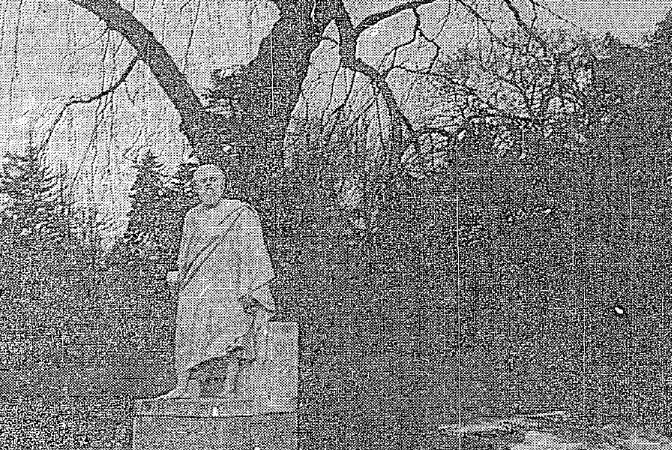 Just stumbled across this old post and happy to share some info – the Socrates statue was made by Pietro Magni, an Italian sculptor. He created it for the 1853 Great Industrial Exhibition on the front lawn of Leinster House (when the building was the headquarters of the RDS, who set up the Botanic Gardens). Socrates spent years after this at Iveagh House with the Guinness family. Not sure exactly when he retired to the Millfield at the Botanic Gardens, think it was the ’50s or 60s. It’s a grand spot for him anyway. The Millfield incidentally is an artificial island created before the NBG were established (1795). The River Tolka was diverted to run a paper mill called Jebbs’. It was knocked down in early 1800s. Amazing coincidence – the current director of the NBG is Matthew Jebb. I’m a guide at the NBG and a philosophy and public history graduate so this is my special topic really. There’s a bag of other great stories from the Bots (it is nearly 220 years old after all). Give us a shout if you’d like to hear more – botanicgardens@opw.ie.